Meet the BaT Comics Staff - Comics, Games & Everything Fun! Welcome to BaT Comics & Games. It's our pleasure to provide you with wonderful comic books, fantastic games, amazing collectibles and huge amounts of fun! Let me introduce you to our staff . . .
Hi, my name is Maghan and I’ve been working here since late 2016. I really enjoy working here because it allows me to meet so many people that have the same interests as me. I love to be able to share the things I like with other people and I always welcome recommendations from others. My favorite department in the store is our board game section because we offer a huge variety and thus I get to see new board games on a weekly basis. Since working here, I have found a real enjoyment for board games and right now my favorite is Boss Monster. My comic book interests tend to revolve around a more cartoonish art style, strong female leads and upbeat storylines. If these also appeal to you, feel free to ask me for recommendations! I hope to see you in the store soon! Hi, I’m Lou. I’m a recent transplant from Southern California. I enjoy casual reading and spending time with my family. Growing up, my dad collected and sold comic books. That helped me along in my enjoyment of the genre. I will be more than happy to help you in your selection. Hello, I'm Ashley. My favorite thing about working for BaT, (besides signed/exclusive/limited edition/rare items), is the variation of customers we see and help on a daily basis! I love helping our regulars and meeting new people. I've been with BaT since 2016 and have learned so much over the years because of conversations and experiences with customers of all ages! I am a fan of Steven Universe, Rick and Morty, My Little Pony, Invader Zim, DC villains (and heroes), Guardians of the Galaxy and especially Thor and Loki! And, of course, Star Wars! As far as anime and manga, I personally love Fruits Basket, Fairytale, Attack on Titan and Deathnote. I also am a huge fan of Zelda, Pokemon, Hello Kitty and Studio Ghibli (Miyazaki). I’m always excited to play new board games and talk about others’ experiences to learn more. I’m new to magic, but I do enjoy learning about deck building, different cards and game play. As far as comics go, I am definitely a collector, but I do read some to keep up with what's new and always do my best to know what's coming out. Stop by the shop to find what you need or have a chat about what might interest you. I’m Teresa. I’m married to the Owner, Trent, but I’m also a huge comic book fan, a major toy enthusiast and I enjoy playing family and party games. 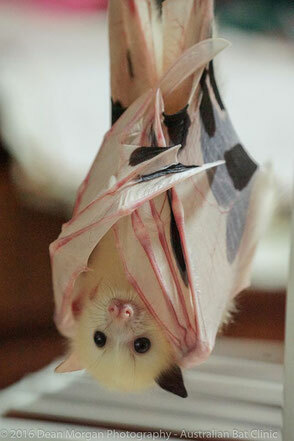 You won’t see me at the counter; I manage the BaT website and most of our Facebook postings. If I listed the books I read, this would be a really long bio. 😉 Some of my current favorites include Super Sons (then Adventures of the Super Sons, Daredevil, Spider-Man / Deadpool, Star Trek: New Visions, Lark’s Killer, Punisher, Saga and Nocturnals when there’s something new. Plus anything Godzilla or Sherlock Holmes. Some prior series out in trade that I think everyone should read: Y, The Last Man; Fables; The Watchmen; The League of Extraordinary Gentlemen; Maus; Batman, The Killing Joke; The Dark Knight Returns; Kingdom Come. Some great games: Here, Kitty, Kitty; King of Tokyo; Zombie Dice; Blurble; Trailer Park Wars. Click HERE to meet the BaT staff! We've been a downtown Chico business since 1993 and are the largest comics and game store in the area with over 2,500 sq. ft. In addition to comics, we carry collectible card games (Pokemon, Yu-Gi-Oh, Magic the Gathering, etc. ); miniature games (Warhammer, Star Wars, Clix games, D&D, etc. ); role playing (D&D, Pathfinder, D20 products, etc. ); board games (Settlers of Catan, Ticket to Ride, Risk, strategy games, party games, etc.) and even non-collectible card games and educational games for all ages (Munchkin, Lunch Money, Apples to Apples, etc.). Enjoy open play in our dedicated game space. We also offer a wide range of merchandise from posters to T-shirts, from toys and statues to dice, from plushes to lunch boxes ... and so much more! We also carry manga (Japanese comics) and the largest selection of independent / small press comics in the North State.